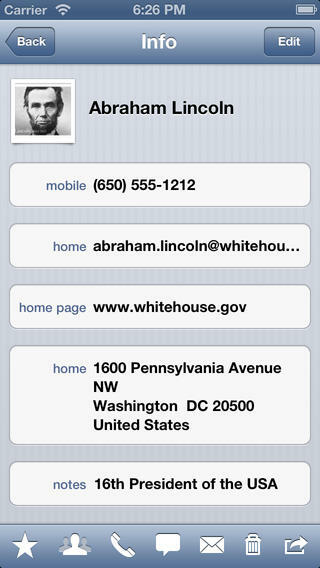 A2Z Contacts is an iPhone app developed by Playa Apps. 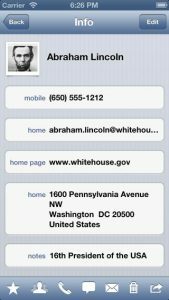 If you need a tool to edit, organize, and message your contacts efficiently, this is the app for you. 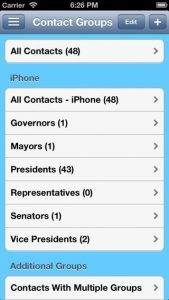 If you’ve ever felt that Apple’s native contacts capabilities were somewhat limited, A2Z is definitely going to impress you. There are so many features packed into this inexpensive app, and it’s really quite impressive. Apple’s standard Contacts app is limited in its support for contacts groups – you can’t create groups, nor assign contacts to groups. The laundry list of features you will find in A2Z Contacts includes the ability to turn your contacts into vCards, and then send those vCards by email. A2Z Contacts also allows users to edit and organize your contacts into useful groups. There’s a great search function as well. You can send group emails and group text messages, as well as providing the ability to send group emails from Apple’s Mail app. One thing that is great is the fact that A2Z Contacts lets you view every contact you’ve created, regardless of whether they were added using iCloud, CardDAV, Facebook, Exchange, or your mobile device. My favorite part of the app interface is the ability to customize my home screen. 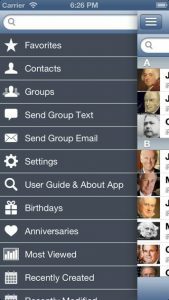 You can set up A2Z Contacts so that your start-up screen in the app gives you a list of favorite contacts, your whole contacts list, or a list of pre-set groups. 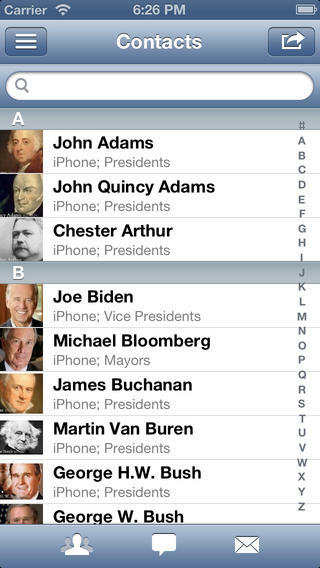 A2Z Contacts is also worth checking out if you enjoy other Playa Apps offerings. For example, A2Z is compatible with the “Contacts Sync For Google Gmail” app. In short, if there’s something that you need your contacts app to do, this app probably does it. It greatly expands upon your options when it comes to group messaging and managing group contacts. And it probably does it better than most other apps in this category. Boasting a great support network and a variety of languages to operate in, A2Z Contacts is the contact management app you’ve been waiting for. I’ve been very impressed with the apps Playa has brought into the marketplace of late, and this app is no exception. A free version of A2Z Contacts (ad-supported) is also available on the App Store. 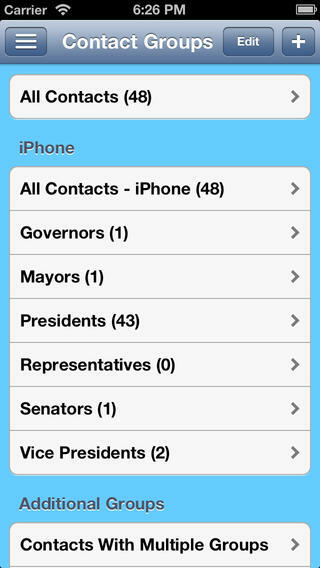 A2Z Contactsis compatible with iPhone, iPod touch, and iPad. Requires iOS 5.0 or later. This app is optimized for iPhone 5.